Here’s an example of a customization of our Mission bus. 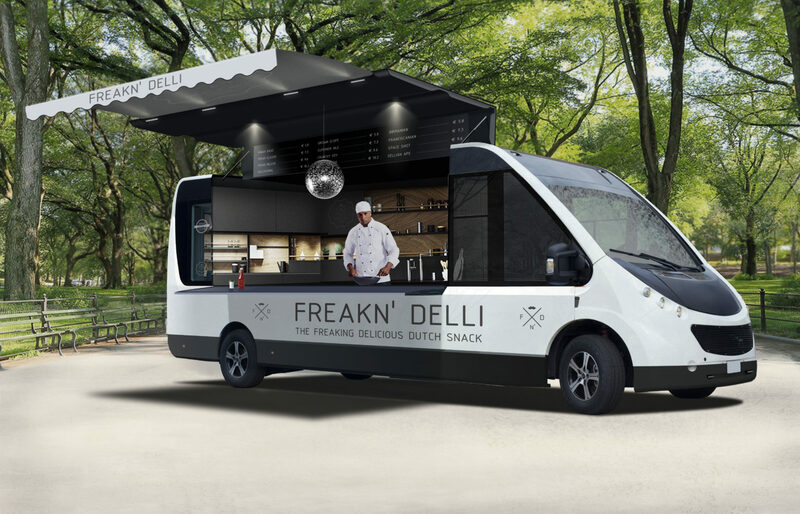 This is a rendered food truck to give you an example of the possibilities we have with our electric buses. Because of the use of a lightweight composite body, it is easy to customize to the wishes of our customers needs.